Dataedo enables you to define in its repository modules, that are can be used to organize objects into smaller folders representing a topic, subject area, application module or functionality, a project etc. 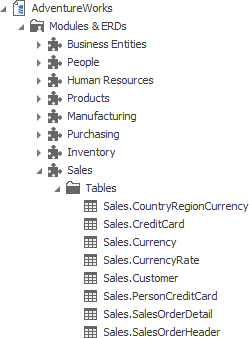 It's easy to create tables, views, stored procedures etc. It's much harder to delete them as you never know if they are needed. Most databases grow over time in terms of number of objects and those objects are created for different purposes, applications, projects etc. and it's really hard sometimes to find specific objects and figure out what a specific object is used for. 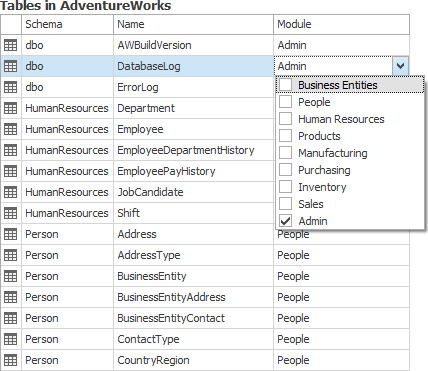 Defining modules and assigning objects to them will help you answer those questions and make large database more manageable. 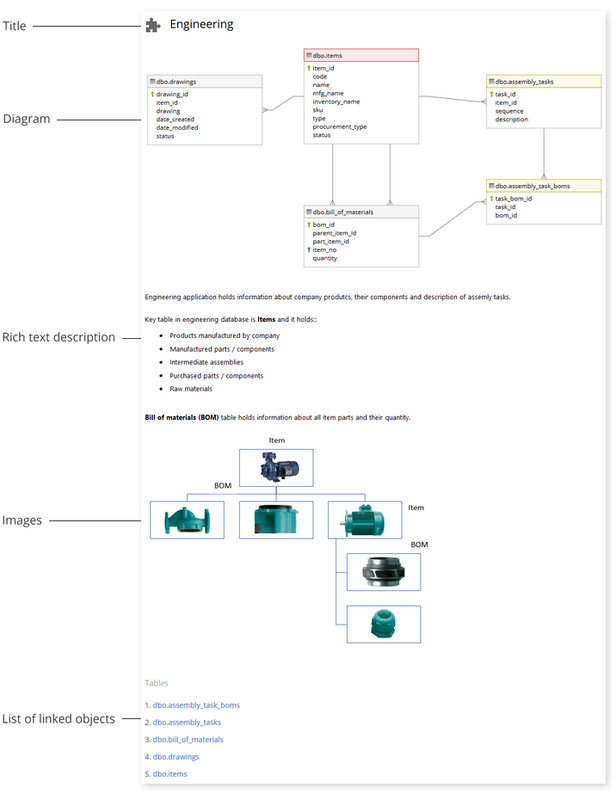 Module groups rich text description, list of selected database objects and an entity-relationship diagram. It's easy to group objects into modules. You just go through the list of objects and drag and drop to a module or choose it from the dropdown list. "Dataedo has many features other tools are lacking - ability to document relations that are not set in the DB, rich text descriptions, tracking progress at a glance, grouping objects into topics and keeping track of decommissioned/renamed columns. I would definitely recommend Dataedo to others. It is a great tool and they are very responsive which counts for a lot."